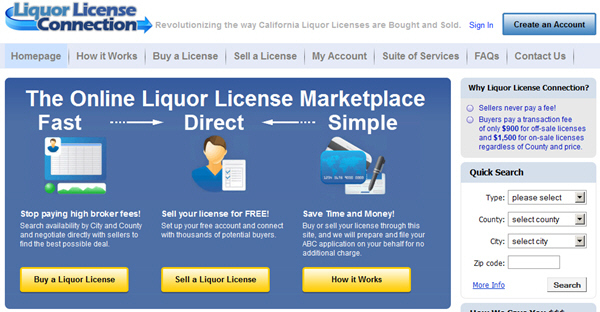 Workbox is excited to announce the launch of Liquor License Connection at http://ca.liquorlicenseconnection.com. This new business is changing the way liquor licenses are bought and sold in California by giving license owners and buyers a more transparent, efficient and inexpensive way to engage in the sale of liquor licenses. Currently, most buyers and sellers need to work through a broker to help them navigate the paper-work intensive and confusing process required by the California Department of Alcoholic Beverage Control. Liquor License Connection, however, gives liquor license sellers and buyers a simple way to negotiate a price and complete a sale. Liquor License Connection also streamlines the documentation process for buyers and charges much less than typical brokers. 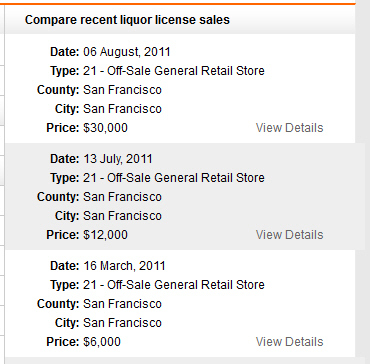 Additionally, Liquor License Connection shows comparable sale prices for similar, recent transactions (known as “comps”) to registered users so there is less mystery involved in the transaction negotiation. Finally, if a particular sale requires a little extra assistance, or other services are needed, Liquor License Connection has highly experienced partners who can help with liquor license expediting, escrow, 500 foot surveys, legal services and recording services. Again, we are very excited to be part of a business that could radically change and improve an inefficient and confusing industry. What Workbox is doing: all technical development, UI and online marketing consulting.